It is gratifying to be acknowledged for doing a "good thing". That is not the reason to do the right thing, but it is good to know your efforts are appreciated. 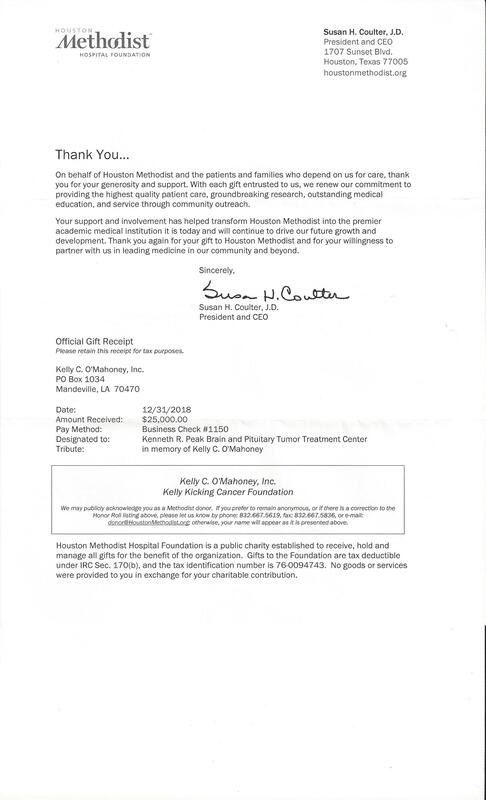 The Kenneth R. Peak Center sent Kelly Kicking Cancer this thank you via the Houston Methodist Foundation for our most recent donation of $25,000. Thank you to all the volunteers for your hard work. You help make this organization so successful in our fight against brain cancer.